Civilians investigating their own fender-benders? That might be possible after a proposed contract that was approved for negotiations by city officials. 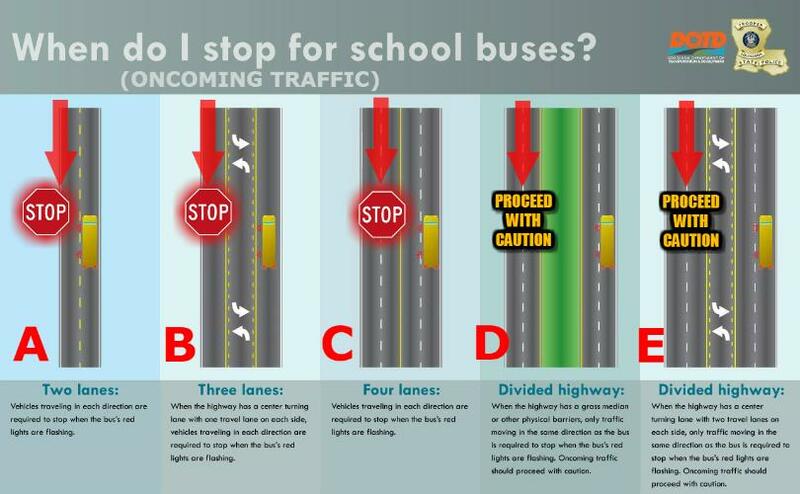 And with it being back-to-school time, do you know the school bus traffic laws & when to stop for a school bus? How timely! The Mayor's Office release a new web application that charts street flooding and traffic incidents reported to the city. "The Mayor unveiled the incident-monitoring application days after New Orleans residents voiced concerns about not knowing which streets to avoid during the August 5 storm. Good news for the River Parishes: The speed limit on I-310 will soon be 70 mph the whole way! Nola.com reports that, "The speed limit on Interstate 310, which includes the Hale Boggs Bridge, will increase to 70 mph for the entire 11-mile spur, starting Tuesday, Aug. 1, 2017." According to a recent article on Nola.com, more than half of car crashed are due to phone usage. According to an article from Bloomberg News today, U.S. motor vehicle deaths last year topped 40,000 for the first time since 2007 (according to estimates released by the National Safety Council). One less thing for you to worry about during this disastrous flood, the Louisiana State Police say that no one should be charged to get back their cars that were towed from Interstate 12. Flooding and subsequent interstate closures left people stranded on Interstate 12 for hours on end following the flooding throughout Southeast Louisiana. Have you been in an auto accident and sustained injuries? Get an attorney with over 30 years of experience helping accident victims just like you - call Guest Law Firm TODAY. Have you been injured in an accident and sustained injures that require medical attention? We can help! Call Attorney James B. Guest TODAY! Have you been injured on the job offshore while working on an barge, tug boat or other sea vessel? Contact us to help you with your claim.